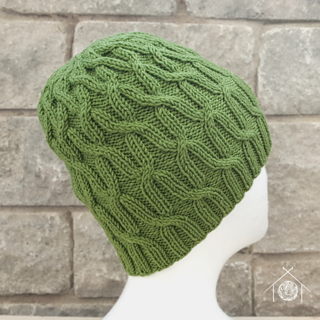 A simple ribbed hat with a criss-cross cable motif from bottom to top. This hat will fit most adult heads as it is quite stretchy. Instructions are given both in a chart and written out.